"Black Panther" could become the first superhero movie nominated for best picture at the Academy Awards. The costumes, the music, the acting: There's so much to love about "Black Panther." 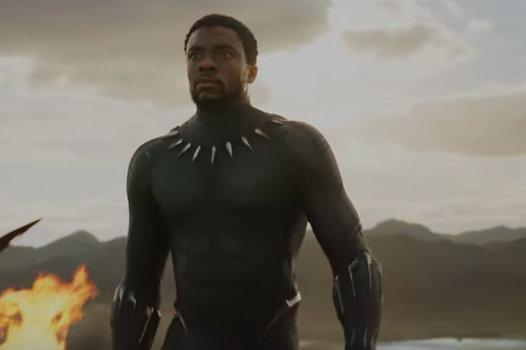 The superhero movie starring Chadwick Boseman as Prince T’Challa and his superhero, alter ego Black Panther is a box office mega-hit. Plus, it currently has 97 percent on Rotten Tomatoes. Instructors at Grace & Glory's Northfield, New Jersey, studio are clearly fans. They've planned a glow-in-the-dark workout to the "Black Panther" soundtrack on Tuesday, March 20. During the evening yoga class, attendees will work on strength, flexibility, balance, speed, endurance, agility and coordination. All levels are welcome to join. To attend, register here and make a $20 donation to the Africa Yoga Project, which aims to bring positive change to communities and youth in Africa through yoga. Then, get pumped up for the class by listening to Kendrick Lamar and SZA's "All the Stars" below. The song is currently on the Billboard Hot 100. Note: Some of the lyrics are explicit.